Using fillers such as Restylane, Perlane, and Juvéderm is a great, non-surgical way to rejuvenate your face. However, there is a disconcerting trend occurring that some call the "helium balloon effect." Instead of walking out of medical offices and spas looking young and vibrant, those undergoing the procedure appear to have had their faces pumped with helium. While injecting fillers such as Juvéderm or Restylane into the face is not “surgery,” it should still be done with considerable care and judgment. If you want to rejuvenate your face with fillers, it's your choice. But don’t let your practitioner go overboard. Remember, you are the one who has to wear your face out in public. A subtle change is best. Plump does not necessarily equal youthful. An overinflated face never duplicates the face one had in youth. Over-plumped faces look odd, something just doesn't look quite right. Have a mirror in hand when getting your injections done so that you can let your doctor know when enough is enough. Some injectors have “a look” that they try to give to all of their patients. They give too much filler because they think the overinflated look is what is preferred. You may have to be firm in your guidance as to when your face is filled appropriately. 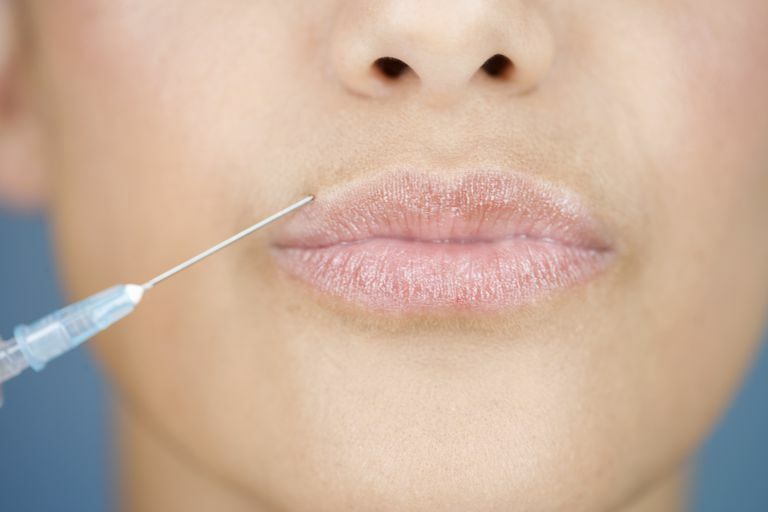 No longer is it only plastic surgeons that are injecting people’s faces with fillers. They may be doctors in other specialties, dentists, nurses, or aestheticians. The FDA recommends that you ask your health care provider about their training and experience injecting soft tissue fillers in the face. Be wary if your injector claims that he or she “always” uses a certain amount of filler or a certain number of syringes when doing filler injections. Basically, they’re telling you that he or she is using a cookie cutter approach. You are not a cookie. If your injector is pushing more filler, simply tell him or her, “No.” You can always come back for more. It is much more of an ordeal to try and reverse the effects. Luckily, fillers such as Juvéderm, Perlane, and Restylane have an antidote known as hyaluronidase. Unfortunately, use of this antidote will usually break down everything that was injected so you’ll start back at ground zero and you’ll be out the money you paid for the filler in the first place. Fillers such as Sculptra and Radiesse have no antidote, thus you’ll just have to wait out any overfilled effects. The silver lining is that eventually, the overinflated appearance will look normal, though it may not be for a while. The FDA urges you to seek immediate medical attention if you develop symptoms such as "unusual pain, vision changes, a white appearance of skin near the injection site, or any signs of a stroke (including sudden difficulty speaking, numbness or weakness in your face, arms, or legs, difficulty walking, face drooping, severe headache, dizziness, or confusion) during or shortly after the procedure." Unfortunately, a misplaced injection where the filler finds its way into the bloodstream can lead to blindness, stroke, or tissue death. Get medical help immediately if you have any symptoms after a filler injection. Center for Devices and Radiological Health. Safety Communications - Unintentional Injection of Soft Tissue Filler into Blood Vessels in the Face: FDA Safety Communication. U S Food and Drug Administration.